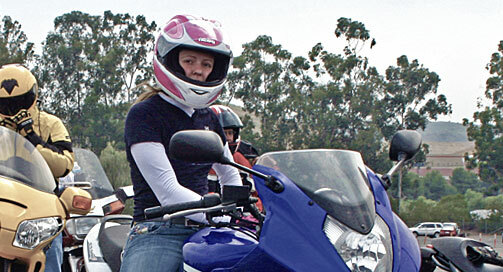 The Motorcycle Safety Foundation Campuses are dedicated to expanding rider education and motorcycle safety opportunities. At an MSF Campus you may find new riders participating in a Basic RiderCourse to earn their license waiver, youngsters learning how to safely operate ATVs in an ATV Safety Institute ATV RiderCourse, and a family entering the exciting world of off-highway motorcycling together in a DirtBike School class. Beyond that the MSF Campuses are utilized for training new RiderCoaches, ATV Safety Instructors and DirtBike School Coaches. New curriculum products are tested and evaluated at the Campuses, and ongoing professional development opportunities occur for current RiderCoaches, ATV Safety Instructors and DirtBike School Coaches. The MSF Campuses are where you will usually find new curriculum products offered first in an area, so check back frequently to find out what the MSF Campus can do for you. The Motorcycle Safety Foundation is a national, not-for-profit organization sponsored by BMW, BRP, Harley-Davidson, Honda, Indian Motorcycle, Kawasaki, KTM, Piaggio, Suzuki, Triumph and Yamaha.